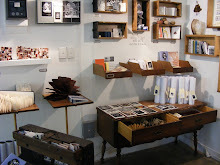 OBJECTS, ARTIST BOOKS, POSTERS, POSTCARDS, ZINES, PAPER ARTS AND EXHIBITION SPACE. Hi all, I'll be in the gallery this Friday 23rd August for a couple of hours between 3-7pm. This will one of the last opportunities to pick up some work from Hand Held before we pack up and move on. Join me for a glass of wine and a zine! 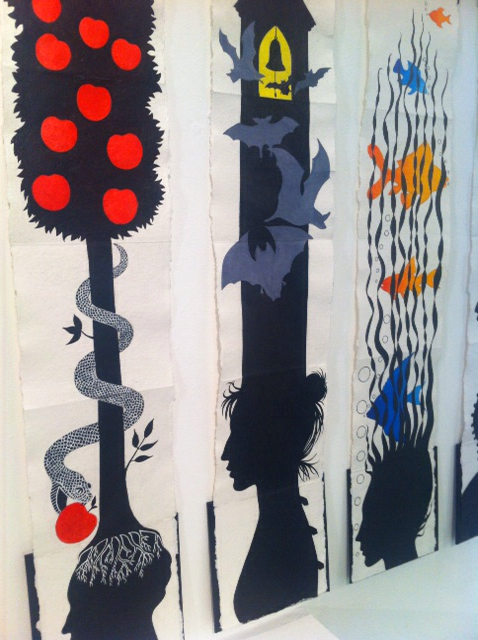 A reminder that Deb Klein's wonderful exhibition 'Tall Tales' is in its last week at Hand Held. Pop in from Tuesday - Saturday 12-5pm. 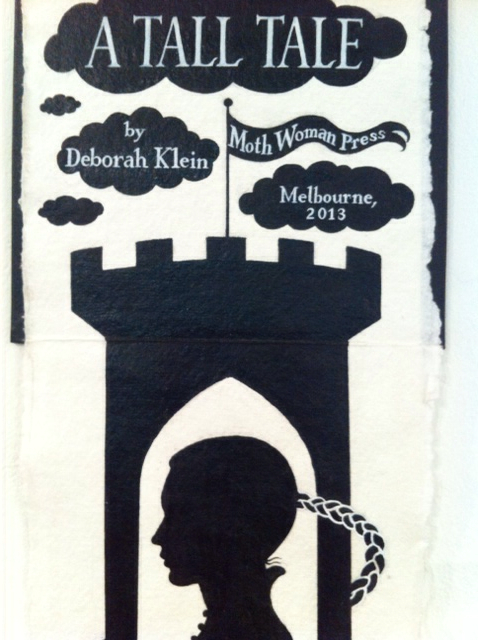 Along with the beautiful exhibition we also stock Deb's range of zines and small books. 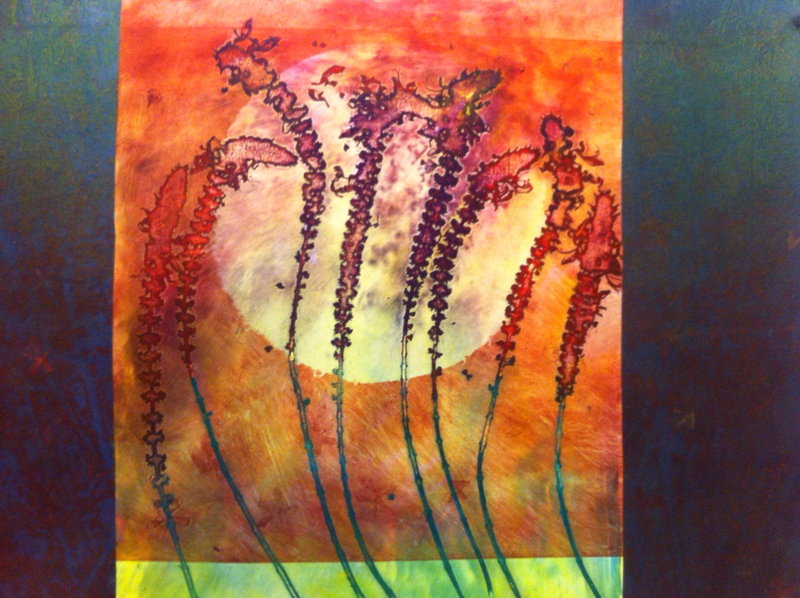 Deb will be in the gallery on the final day, Saturday afternoon, from about 2.30pm if you'd like to say hi. As this is our last exhibition it's worth dropping in to pick up any books you've had your eye on before it's too late! Over the next few weeks, and whilst we organise our next project, Hand Held will open from time to time - feel free to email me if you'd like to drop in for a look at our collection. Deborah Klein's stunning exhibition 'Tall Tales' opened last Thursday night with the lovely crowd present keen to see Deb's most recent of works - an exciting new direction for this well established and well loved artist. Deb has been working in small scale artist books and zines for some time however this is her first exhibition of this style of work. The exhibition is comprised of thirteen hand painted concertina style artist books on Khadi paper, each measures 80 x 15cm when open. They are bound simply with embossed black covers. Along side the artist books is a collection of 25 miniature paintings, some that worked as studies for the artist books - all complete works in their own right. Join us at Hand Held before July 6th to enjoy this exhibition in person. It is with great anticipation that we look forward to our next exhibition, 'Tall Tales' by our long time supporter Deborah Klein who hosts her first solo show dedicated to artist books and painted miniatures. 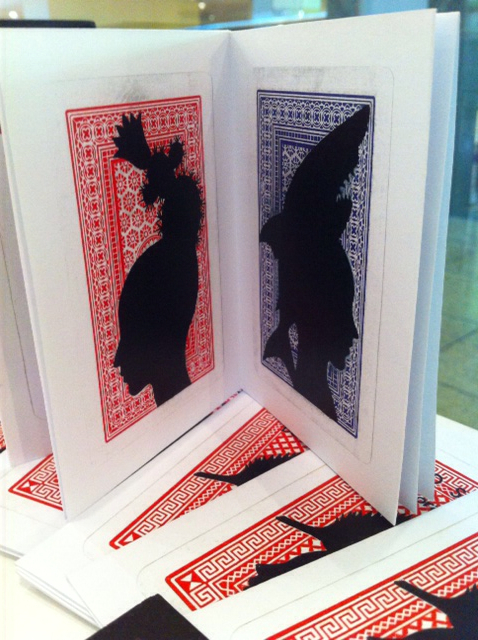 The bound concertina books that dominate the solo exhibition Tall Tales are one-of-a-kind and open vertically. The drawings and hand lettering inside are ink and acrylic paint on handmade Khadi paper. 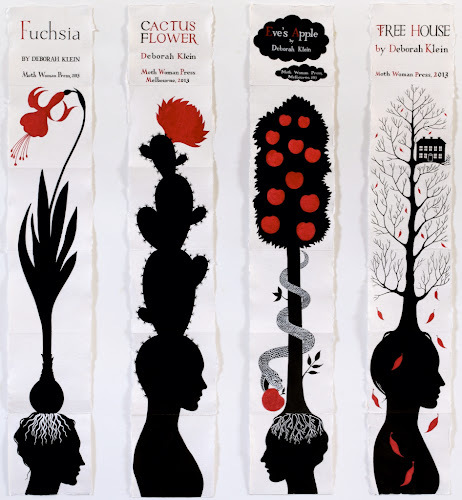 Although they evoke fairy tales and folk tales, aside from their covers and title pages, the books contain no texts. There was simply no room for the thousand words that each picture is worth. The primary inspirations for the imagery were the exquisite stop-motion silhouettes created by animation pioneer Lotte Reiniger (1899-1981). 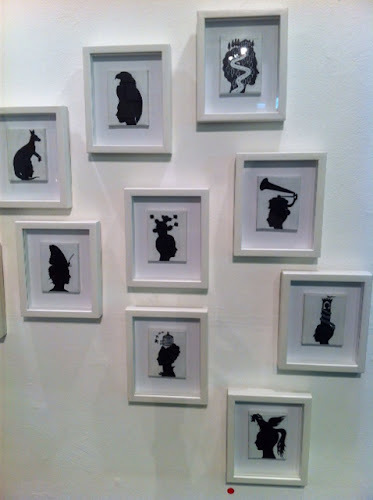 Her fairy tale films, which I first saw as a child in the days of black and white television, were my introduction to silhouettes. At the time, I thought I had never seen anything quite so magical. I still do. 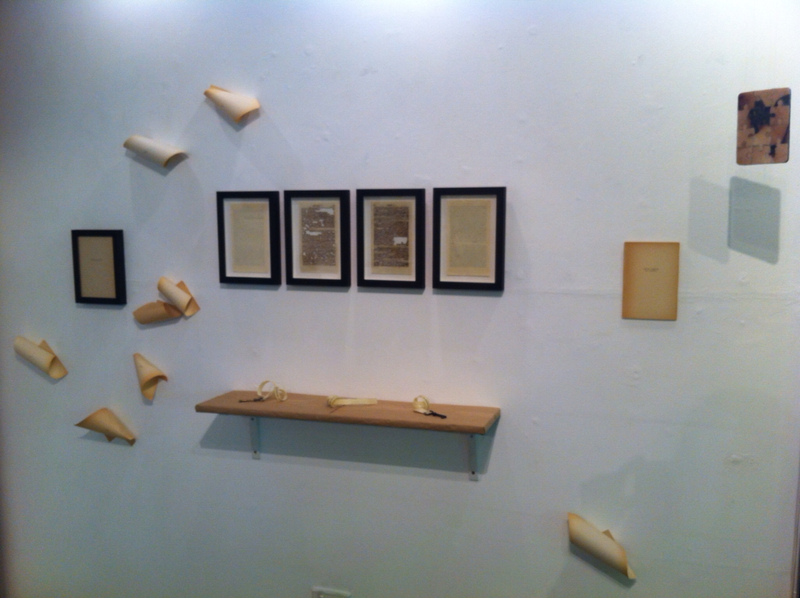 The exhibition is a significant milestone, as it is my first to focus primarily on artist's books. 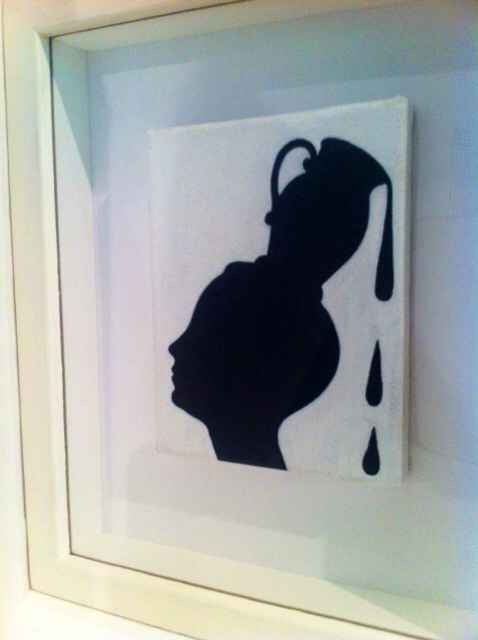 They are complemented by a selection of miniature paintings. Although several of these served as studies for the books, each one is a finished work in its own right. Sadly Deb's exhibition will also be our last and will mark the end of an exciting 5 year journey for Hand Held. Kat Teede's lovely exhibition 'I want to be your shadow' opening last night at Hand Held. 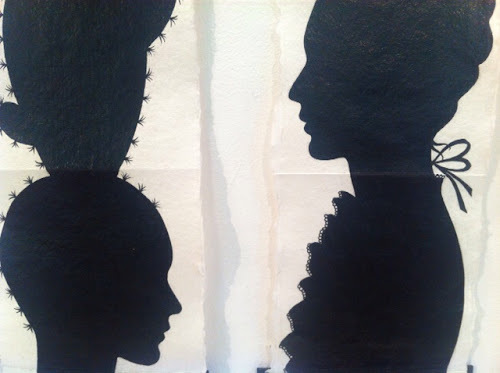 I Want to be Your Shadow is the latest exhibition from Melbourne based artist Kat Teede, which continues her intrigue of the duality present within life and within ourselves and in the tension that arises when oppositions meet. Light and its Shadow. “I Want to be Your Shadow” is a statement that was once made known to me and has stayed in my memory for the tension that it creates between intimacy and suffocation. Appearing as an endearing declaration of love, “I Want to Be Your Shadow” can also be viewed as a burdening entrapment… Within this exhibition, small-scale sculpture and text combine in considering this tension, together with the recollection of our memories of past relationships. As with this statement, the works within I Want to be Your Shadow are both beautiful and intimate though oppressive and haunting. Susan Baran and Diane Longley's exhibition 'Chances and Changes' showcases work old and new. On display until May 11. February 21 to March 16, Renuka Rajiv. For this exhibition opportunity I would like to come up with a collection of zines and artist books. They will work across observational and imaginative drawing, with some being handmade while others are photocopy reproductions. What I would like to express through this is a need to keep drawing, as well as making little collections through books. 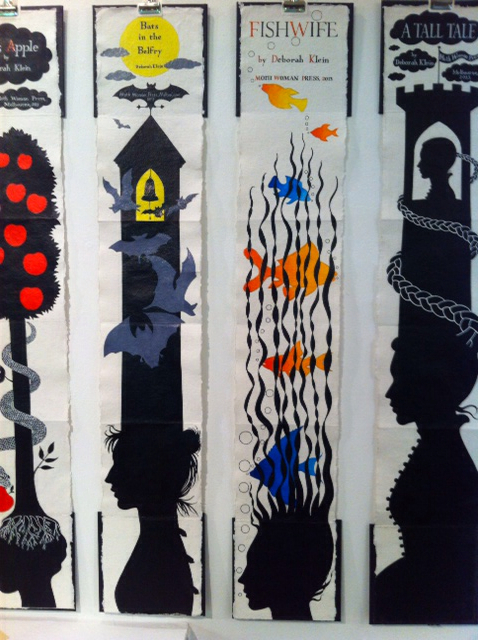 March 21 to April 13, Jenny Bolhofner, 'A Map to Nowhere' . Maps are supposed to tell us where we are. They show us how to go from point A to point B. Maps reveal relationships. They represent space and orientation. But I always wondered what a map of isolation would look like. How do you show space without anything in that space? How do you depict something without having anything nearby to determine scale, location, or relation? How do you make a map to nowhere? April 18 to May 11, Susan Baran and Diane Longley. 'Chances and Changes'. 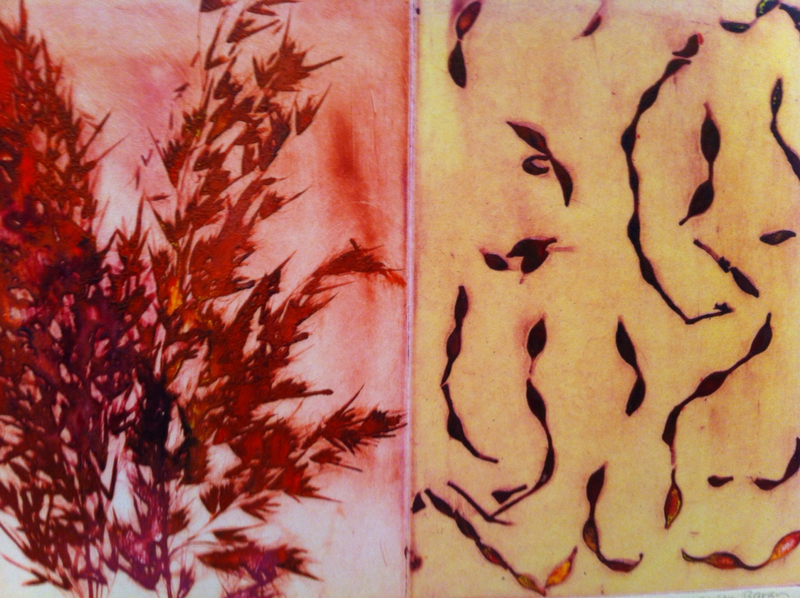 an exhibition of prints, artist books, encaustic panels, and porcelain works. 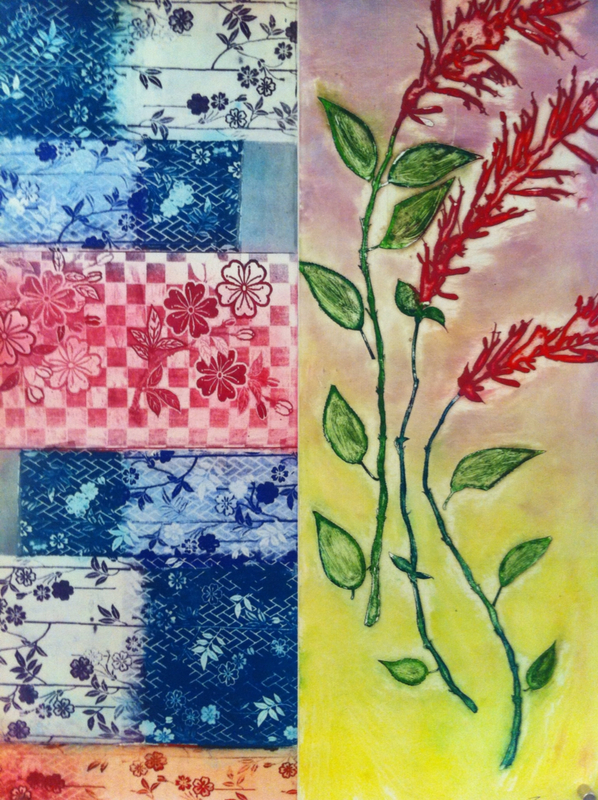 This eclectic mix of works by Susan Baran and Dianne Longley has been selected to complement the remarkable and intimate space of Hand Held Gallery. 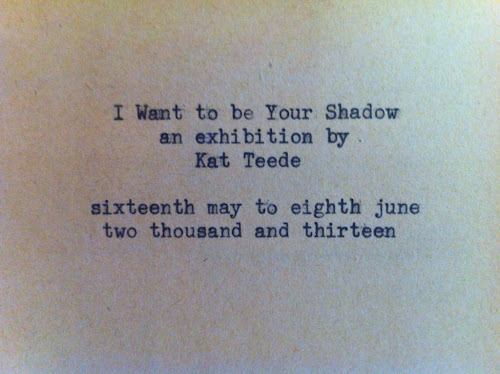 Enjoy having a close and even closer look at these small and beautifully crafted works..
May 16 to June 8, Kat Teede, 'I Want to be Your Shadow'. 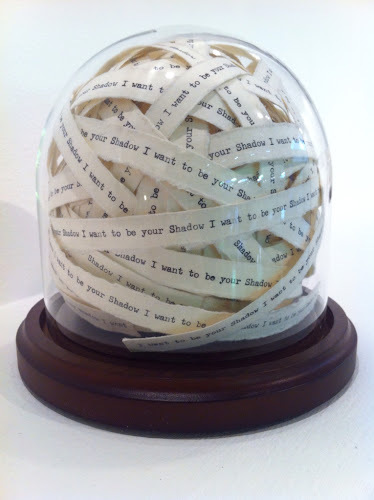 “I Want to be Your Shadow” is a statement that was once made known to me and has stayed in my memory for the tension that it creates between intimacy and suffocation. Appearing as an endearing declaration of love, “I Want to Be Your Shadow” can also be viewed as a burdening entrapment… Within this exhibition, small-scale sculpture and text combine in considering this tension, together with the recollection of our memories of past relationships. 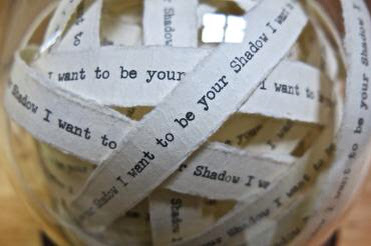 As with this statement, the works within I Want to be Your Shadow are both beautiful and intimate though haunting. Hand Held Gallery, Suite 18 Paramonut arcade 108 Bourke street, Melbourne. Hand Held Gallery opened in August 2008. Hand Held is an object and artist book gallery with a collection of books, zines, posters, postcards, paper arts, jewellery and eclectic objects. 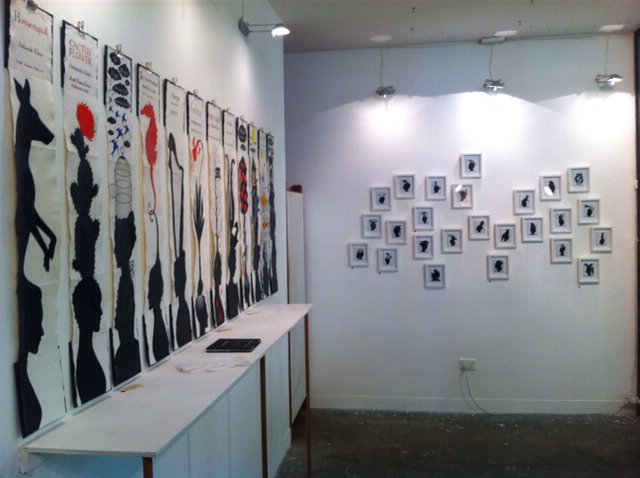 Hand Held is also an exhibition/installation space available to artists for solo or small group shows and installations. Entry via Bourke or little Bourke street. Go straight up escalator to top level. Please contact Megan to make arrangements to view the gallery outside of regular hours or to discuss a proposal or put work into the gallery on consignment. 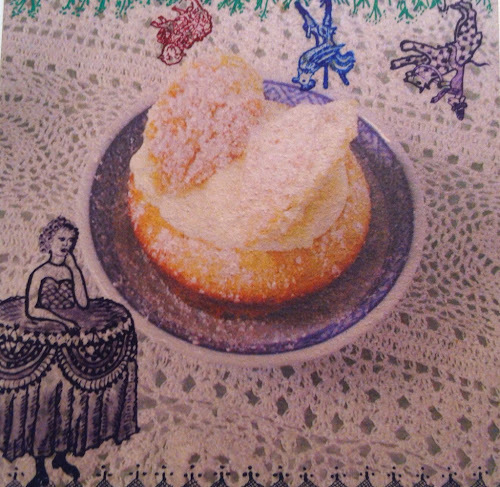 August 23 - September 15, Megan Herring, 'Tea Party',Exploring the fragility of tradition, the loss of simple ceremony and the degradation of the importance of heirloom objects. Tea bag books and objects. September 20 - October 20, 'Vignette/Vitrine', a group exhibition of objects and illustrations but Paul Compton, Deborah Klein, Priscilla Ambroscini, Sheridan Jones, Bonnie Hanlon and Megan Herring. November 22-Dec 15, MELT by Jill Herman's and Chloe McColl. Melt Unpredictable things can happen when a material is heated. A transition takes place - structures collapse and reform, separate units bond together, the internal structure contracts or expands, colours can develop and fade, shapes melt and textures are formed or transformed. The response of the material changes. In their separate practices Chloe McColl and Jill Hermans use heat as a means of creation. Through these transitions they hope to tell a deeper truth about the essential qualities of their materials. Chloe McColl aims to simultaneously question and intensify the viewer’s relationship with discarded consumer products. Through her work she provides a new perception of the strange, wondrous and aesthetic forms, which we interact with daily; to offer the viewer ‘new eyes’ for a new discovery of the familiar. 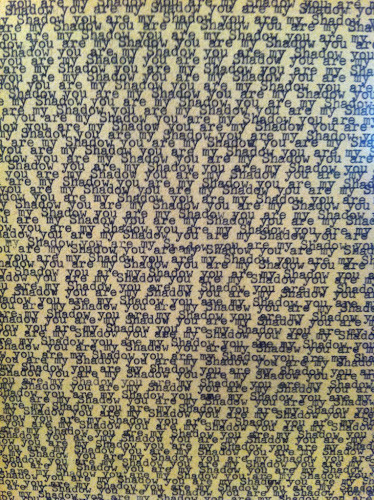 Jill Hermans’ practice is material and process driven, utilizing and uniting elements of unpredictability and chance with carefully considered pattern and repetition. Heat plays an essential part in the making process, and the variable nature of the metal when introduced to heat helps to determine the shape and colour. This collaboration between metal, flame and the hand of the artist is essential in forming the works. December 20-Jan 19, BAZE book art and zine exhibition featuring 35 artist book and zine makers from around Australia. May - Sheridan Jones, 'The Hunter and the Hawker'. We’re headed back out on an expedition, back into the exquisite detail of the natural world. The world of jars, vials, cloches, becomes a world of exploration, of discovery, of beauty and awe. Together through the medium of print we can once again discover the intricacy, delicacy and beauty of even the smallest elements nature has to offer. 31st May - 23rd June - Kate Gorringe-Smith, ‘Fly Me to the Moon' The Bar-tailed Godwit, a migratory shorebird, journeys annually from the northern to the southern hemisphere and back, chasing the sun across the globe. On its journey, it can fly for up to eight days without stopping, a flight that covers over 11,000 kilometres. Over the course of a lifetime, individual birds have been known to fly the equivalent distance as from the earth to the moon. My work is inspired by these tiny navigators: the miracle and mystery of their journeys, their beauty, and the way they embody our own hopes and dreams. 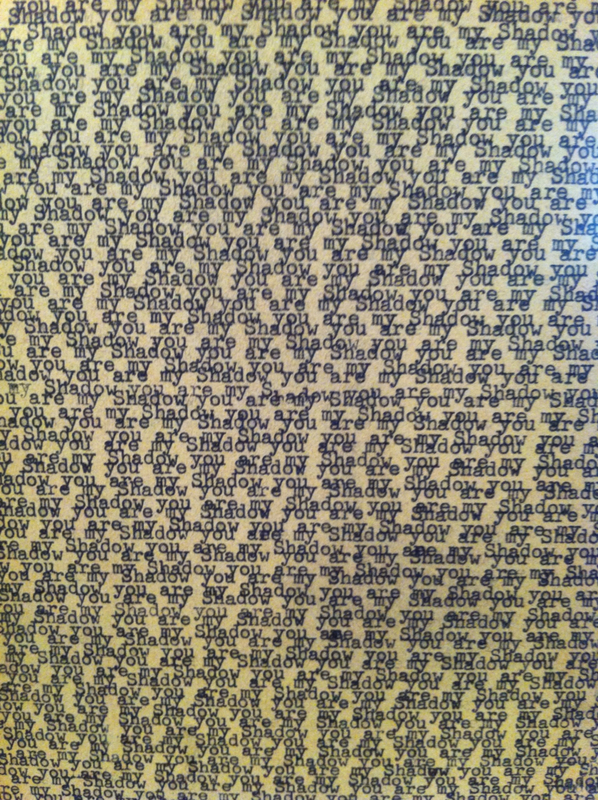 June 28th to July 21st - Paul Compton, 'Domestic Disturbance'. Domestic Disturbance suggests the underbelly of an imagined Victorian era house through depictions of uninhabited rooms and curious portraits. The drawings, prints, handmade books and zines in this exhibition hint at narratives of strange places, deaths, secrets and peculiar activities that go on behind closed doors. 5th to 28th April - Janet Neilson, 'Close to home' My immediate environment is a constant source of inspiration. I am amused and intrigued by the daily activities of people in my neighbourhood, and I cherish the moments when our lives intersect. I am buoyed by some chance encounters that have developed into special relationships. George lives nearby, he peddles his delicious amber honey around our streets; a shopping trolley is his mobile store. The gift of a tall, gangly ginkgo tree came from Bill; we walked it home through the laneways from his place to ours. Over the road lives a truly fine weaver, she has crafted me a scarf on her loom upstairs. This work reflects some of my day to day observations, interactions and experiences; using various printmaking techniques to create small books, my aim is to interpret some aspects of the extraordinary lives being lived around me. 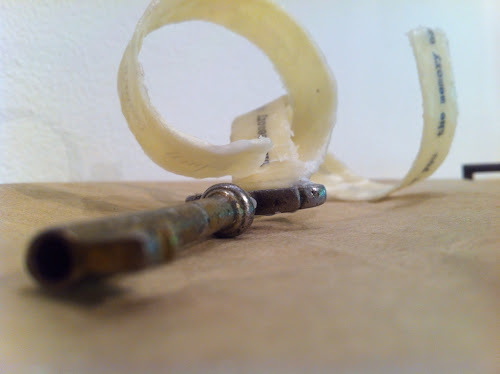 8th to 31st March - Ngaio Lenz, “A room in time” celebrates an aesthetic of imperfection, of the well worn surface and the imagined history of an object. I have always been drawn to decaying surfaces, rooms and buildings, as they offer fodder for my imaginings of the lives of past inhabitants. Clues to lives long past, providing some understanding and connection, while appreciating the beauty of a surface well worn, or an object well used. 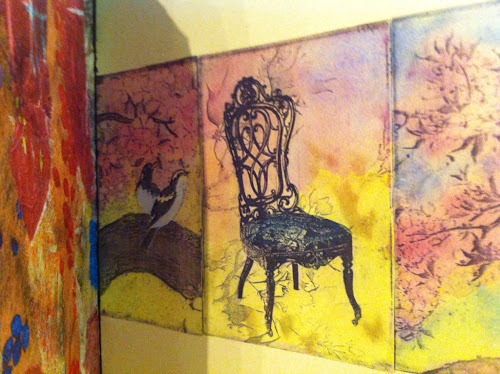 Through the building up and taking away of layers, using paint, vintage papers, letters, stamps and wallpapers, I have explored the recreation of the surfaces I love, while restoring a connection with the past. The process of de-collage has been a way of expressing my intention to portray the fragments of the past as a visual narrative. 9th February to 3rd March - Bonnie Hanlon, 'For Want of a Better Bird'.The works in the show are formed by the idea that freedom is hindered by desire and looks at affluence, beauty and mortality from a slightly sardonic angle. Featuring Paintings and Jewelry this show anthropomorphizes the humble house sparrow by adorning him with jewels and other human symbols of wealth, beauty and status. 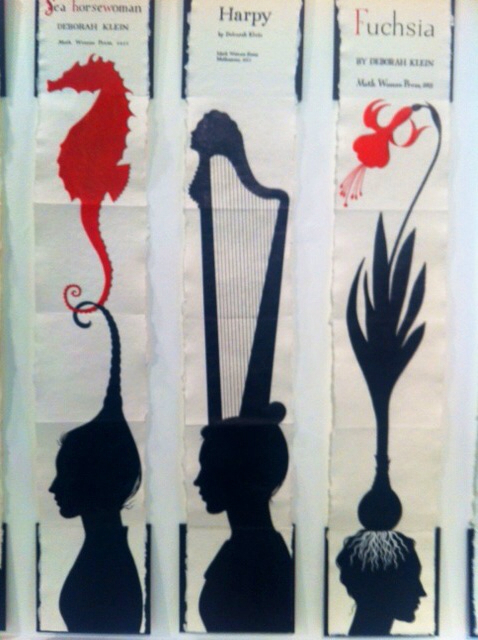 January - Sarah Eve Deaman, 'Truth to the Tales'. I am interested in and wish to explore the origins of fairy tales. The most commonly known fairy tales are the ones with the more surprising histories. I find this of interest how we tell children such stories but over time they have been dressed up with lies, sugar coated with the ‘happily ever after’ finish. From this exploration I will translate and modernize the original story into today's day and age. 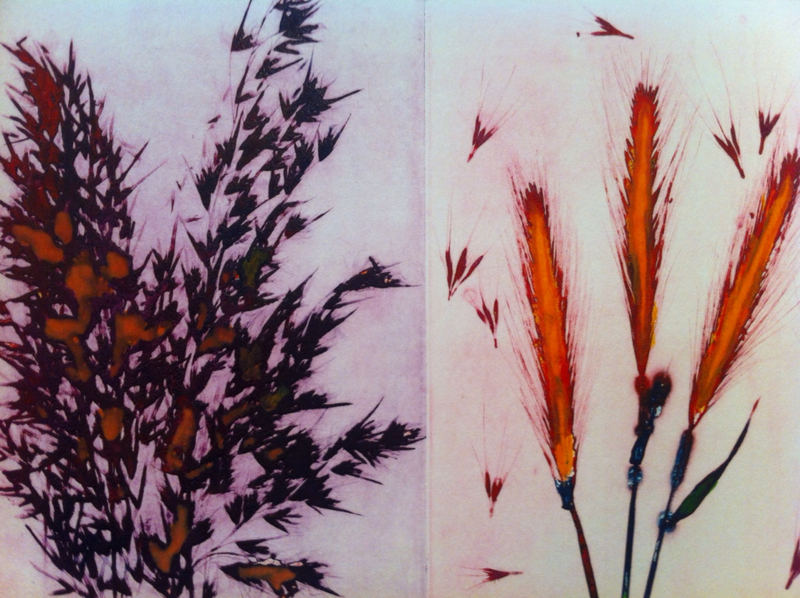 November 3 - 26, Group exhibition - 'In Suspence'. Artists are invited to submit small scale objects that are designed to be suspended (or not)and for which the act of suspension enhances or subverts their reading. October 6 - 29, Fiona Dempster and Barry Smith. ‘Light and Lines’. Barry Smith, a sculptural, assemblage and metal work artist, and Fiona Dempster, a calligraphic and book artist create a joint exhibition exploring the themes of light and lines, bringing together Barry’s small sculptural assemblage and foldformed metal pieces with Fiona’s calligraphic, print and book arts responses. September 8 - Oct 1, Dolls House Project 'Inside Out / Outside In', Rebecca Mayo, Raquel Ormella, Richard Harding, Heather Hesterman. The starting point and working title for this exhibition draws upon the relationship between the Dolls House’s usual location, within a shop window and viewed through glass from the pavement, and its proposed location at Hand Held Gallery, where it will become a gallery within a gallery. While a gallery space provides greater intimacy, a shop window offers the viewer anonymity and as a consequence a less self-conscious viewing position. With this increased intimacy and loss of anonymity each artist will install work within one of the rooms. The work will explore an aspect of Inside Out / Outside In as it relates to their own practice and to print(making) and the multiple. August 18 -September 4. Little red fish and Billy Ball little, 'Post-its, teabags and lightbulbs'. An exhibition inspired by moments of inspiration, sudden jolts, impulsive jottings and the many cups of tea that some may call procrastination. July 25 - August 13. 'The Change Exchange' (30 US artists) 'The Change Exchange was born through my personal need for reconnection. Last year, I graduated, moved halfway around the world, and for the first time in my life, found myself out of school and work. I was away from nearly everything and everyone I knew. As change became the only constant in my life, I began to wonder how the people I left behind were affected by change. 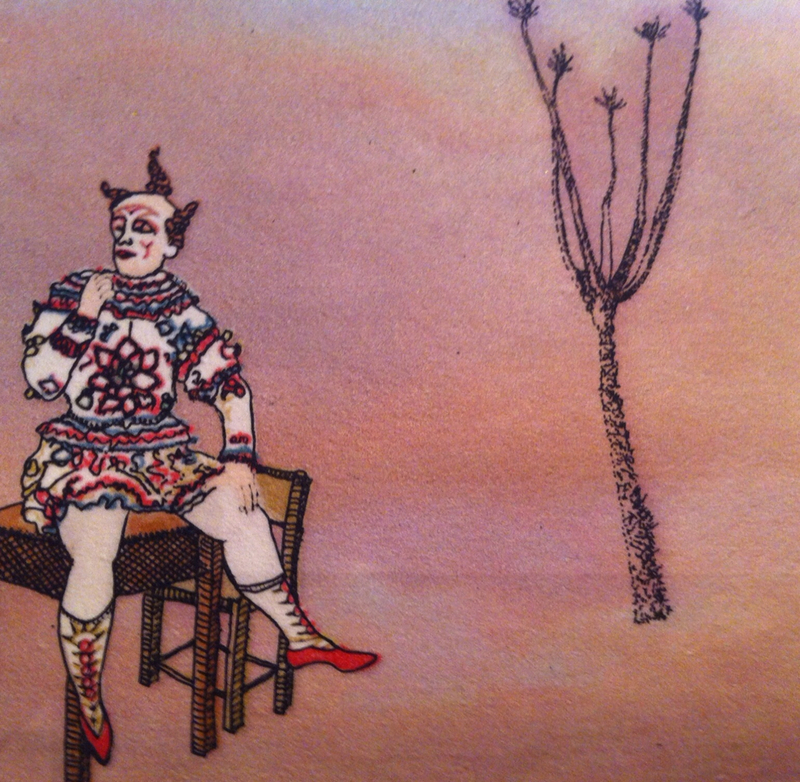 The collaborative drawing project was thus created to give an outlet for fellow artists to swap ideas and express how change was impacting them' - Jenny Bolhofner (Curator)..
June 30 - July 23, Camila Galez. 'An Ideal Half' Through a visual exploration of the shapes, colours and social lives of Melbourne’s pigeons, Camila Galaz’s first solo exhibition examines how our love/hate relationship with these populous birds highlights our many human flaws. Galaz creates a delicate world in watercolour, pencil and photography where the common pigeon can be analysed and idealised. Often gone unnoticed or disregarded, the pigeon is revealed as our multifaceted counterpart in the city. May 5 - May 28: Sheridan Jones. 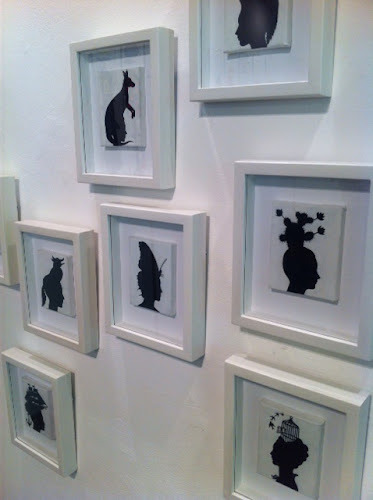 A series of etchings relating to what we might find delicately preserved inside the glass cabinets of the museum, two and three dimensional paper pieces that have the volume and substance of the creatures they depict. A glimmer of personal joy with those things that represent the past, present and future in our history and environment. April 7 - April 30: Paul Compton/Priscilla Ambrosini. 'Lost Is Found'. Lost, forgotten or dejected objects bring back memories, tell stories, create mysteries and they can also hold secrets. An old photograph can be a looking glass to another world. Objects can outlive people and if they are passed on to another owner, the objects past life may never be truly known or regained. 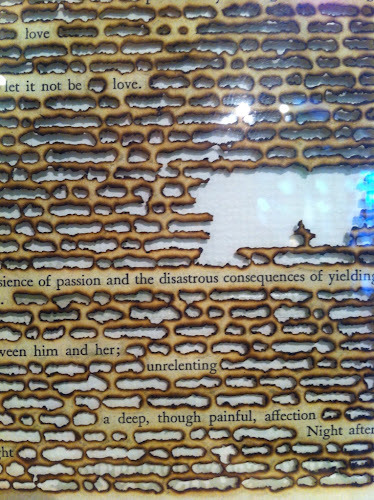 In Lost Is Found, artists Priscilla Ambrosini and Paul Compton, look at the theme of rediscovery and re-enchantment through the use of found objects, drawing, embroidery, books and assemblage. 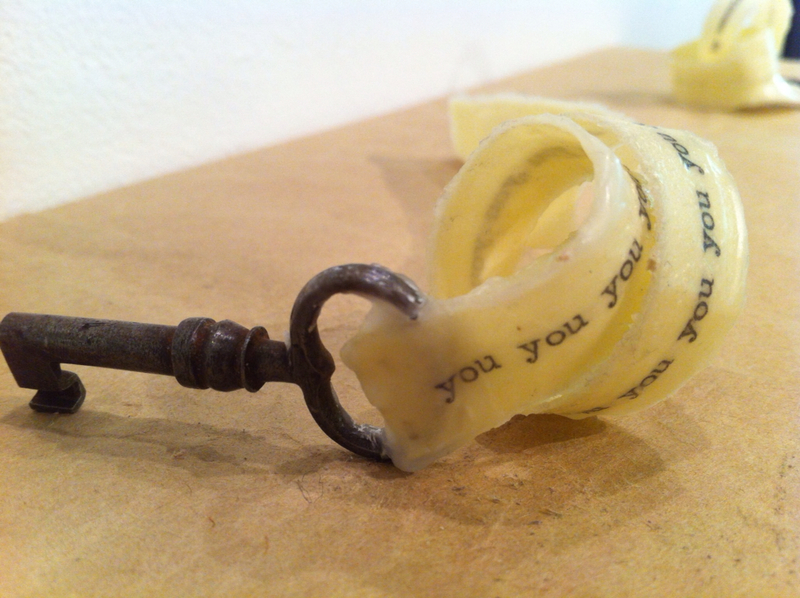 Objects and subjects that have been lost/found, given or discarded by others are re-interpreted and given new lives. For Lost Is Found, Priscilla Ambrosini's work incorporates book making and drawing using embroidery thread and embellishments. 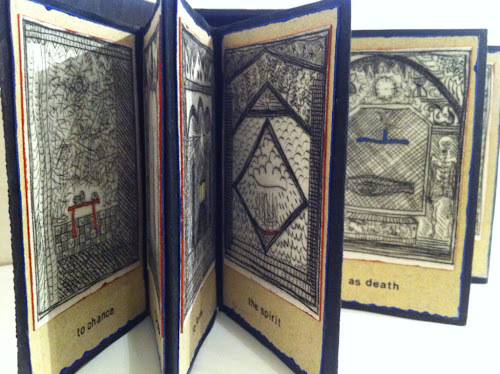 Paul Compton's new pieces take the form of handmade books and zines as well as incorporating his drawings with found/recycled objects and scrap papers. Lost Is Found brings together a lot of different elements to create a playful and motley collection of pieces that encourage people to interact with the works and the environment of the gallery space itself. As two individual artists Ambrosini and Compton's works are united by whimsical and illustrative elements but also by a love of objects and a belief in the power objects hold over memory. 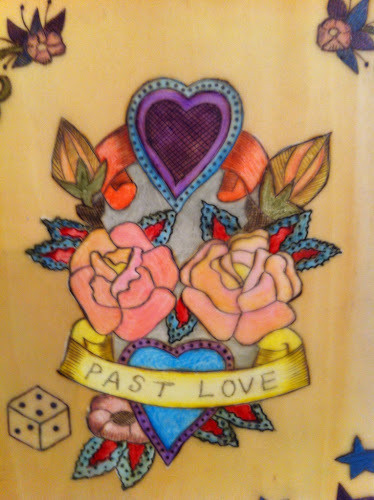 March 10 - April 2: Lizzy Sampson. Lizzy presents an exhibition of collages and artist books made from stamps, envelopes, postmarks and other written correspondence. This exhibition continues her use of philatelic materials and celebrates the pale greens, blues and browns of distant times while exploring notions of frugality, collecting, hoarding and sorting. Feb 10 - March 5: Eddy Carroll, Hand made objects become tangible emotions. Personal, they belong to everyone - Something to hold on to while letting go. 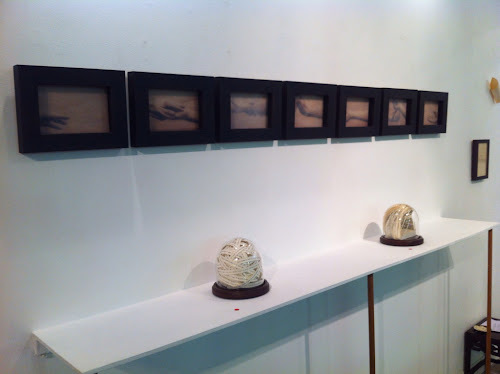 A collection of work made during a painful series of major transitions and changes - works made from needle and thread. 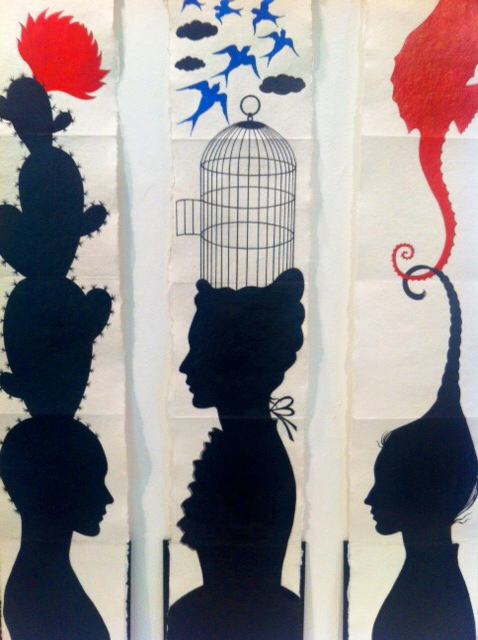 Jan 13 - Feb 5: Kathy Fahey, 'To Penang and Back'. 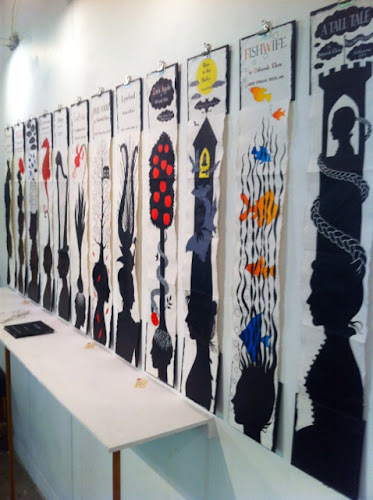 An exhibition of artist books, paper sculptures and drawings inspired by a month spent as artist-in-residence in Penang earlier in the year. The work questions the notion that something has to be large to be powerful, rather that something as small as ten centimetres can capture a big experience or emotion. My works suggest that by creating hand held objects one can somehow hold on to and share the experiene that inspired the creation. 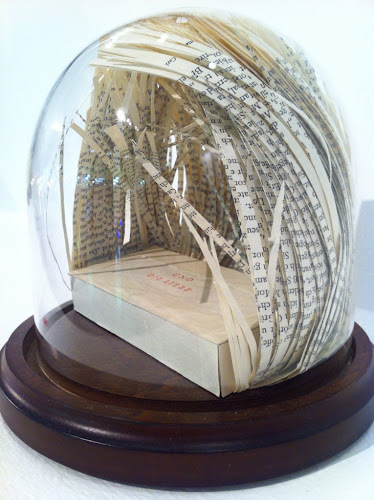 November 4 - Dec 4 2010; Sandra Winkworth 'Sleeping Beauties', Altered books and objects. Sleeping Beauties focuses on the bird and the unwanted book exploring issues concerning loss and denial. I collect, forage, assemble discarded ephemera and old books then rework them to hold images of bird studyskins sourced from a 19th century collection at the University of Sydney’s Macleay Museum. Here the bird is out of context, outside of nature and perhaps is a reminder of our tenuous connections with the natural world. September 30 - October 30 2010; 'Tiny Peeks' Michael P Fikaris curates an exhibition of one page comics reflecting on the everyday. Artists in no particular order are: Pip Stafford, Amber Carvan, Tim Molloy, James James, Ben Hutchings, Jase Harper, Mandy Ord, Mel Roswell, Anthony Woodward, Tom O'hern, Kirsty Madden, Michael Hawkins, Richard Butler-Bowden, Ghostpatrol, M.P.Fikaris, Jo Waite, Athonk, Phoenix, Ha - Ha, Cut, Rena Littleson, No Frills Art, Toni Ann, Tim Danko, Indira Neville, Daniel Reed, Anna Brown, John Weeks, Alice Mrongovius. 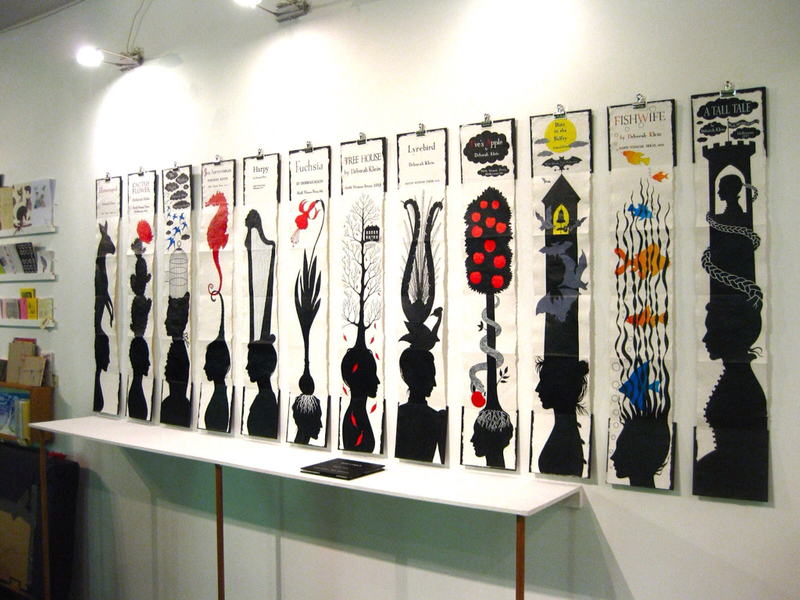 September 2 - 25 2010; Sarah Ritchie, 'Select'. Select considers the act of collection and display. Small objects and book works are presented as pseudo-museum cabinets in miniature. Personal and intimate in stature and material they may be folded closed at will, safely hidden and secreted away, limited in view. The miniature cabinets are constructed from digitally and traditionally printed papers and allude to replicas and models, perhaps samples for theatre designs and sets. Small worlds of ambiguous objects are contained within each fragile paper cabinet –anatomical viscera or unnamed biological specimens? With reference to historical medical imaging, cabinets of curiosity as well as classical architecture, Select reflects on the potent relationship between the frame and the object contained within. May: 6th - 29th May 2010; Paul Compton, 'Houses of Blood and Rapture'. Houses of Blood & Ratpure uses drawing and handmade books to represent the mystery, charm and duality of Australian houses. I am intrigued by the idea that what goes on in a house impacts on people's perception of the house as an inanimate object. A house can be seen as quaint and charming but if a terrible murder should occur there it will develop an air of menace and become more negatively charged in the suburban conscious regardless of its outward appearance. It may even become thought of as haunted. Every one recalls hearing about or seeing a house that is considered haunted; sometimes a house may not look particularly forbidding but the stories associated with its past occurences make it cursed in our minds. March: 11th march - 3rd April 2010; 'Hidden Facets', collaborative exhibition by Abby Seymour and Katherine Wheeler. 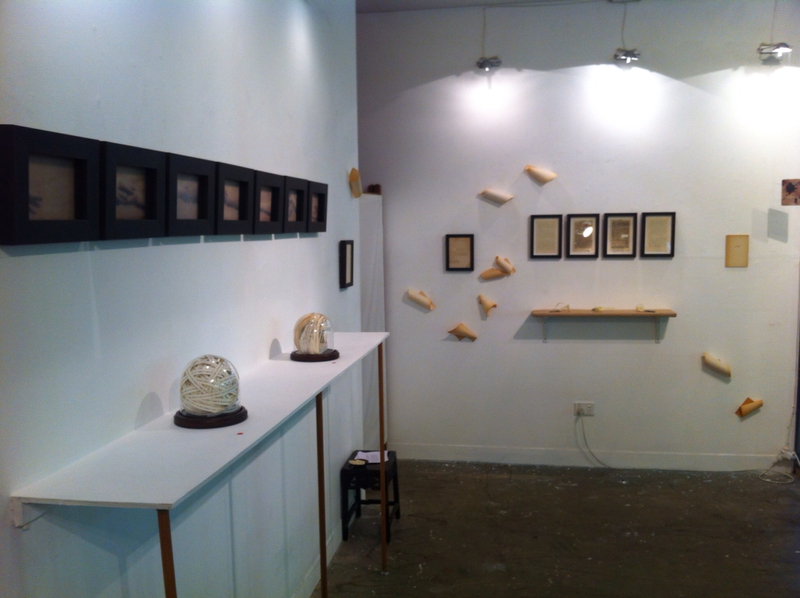 Jewellery, hollow ware, artist books and installation. 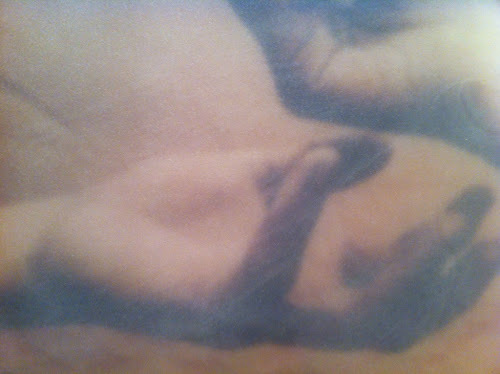 The work evolves from the body and identity of self mixing the recognisable with the unknown. 'The aim of the exhibition is to take the viewer on an oppulant journey in which the capasity for seeing the human body and mind as complex and multifaceted is possible and alluring'. November 5- Dec 5th 2009: Jules Chapple; 'Tangent Man Turns Left'. Pictographic dairy entries from recent travels. 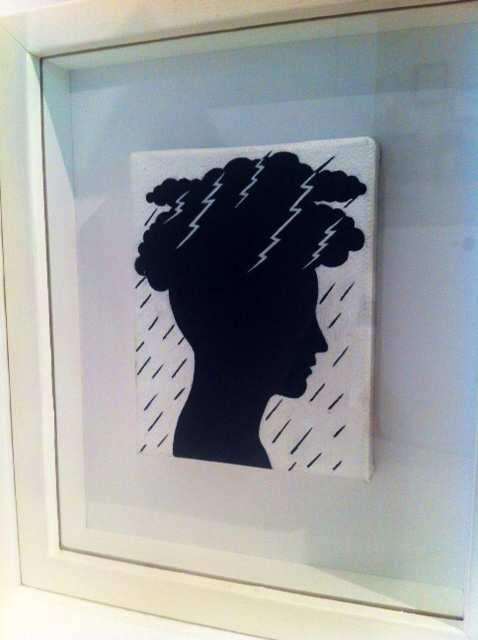 Exhibition and Zine launch. 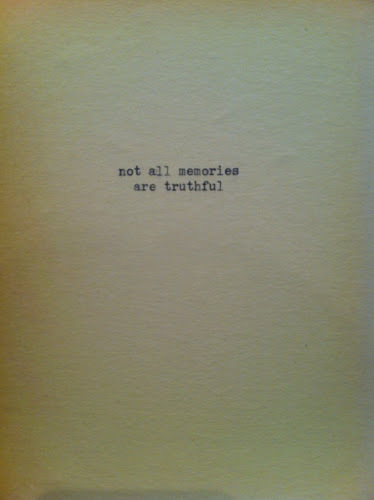 Also; 'Travel Notes', a collection of artist books, altered books, sketch books and travel journals. October: 1st-31st 2009, Opening October 1st 6-8pm: Claire O'Halloran.'Keepsakes'. Jewellery and objects commemorating the local, quirky and mundane. September 3rd-26th 2009, Opening September 3rd 6-8pm: Jane Simon. 'Shutter, sill, blind'. A series of photographic objects documenting window frames, dusty glass, shutters, and views inside and beyond. 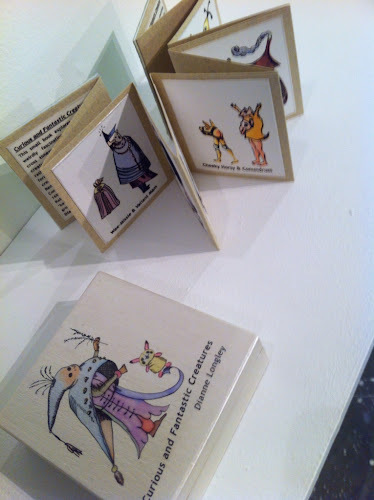 The exhibition will include an artists’ book based on the series, and a collection of the artist’s other small books. August 6th- 29th 2009, Opening August 6th 6-8pm: We celebrate our first birthday with 'Palm Reader'. Object, book, paper and textile artists are asked to interpret the term 'Palm Reader'. $20 Entry fee to successful applicants. Peoples choice award will win 2010 exhibition at Hand Held. July 2nd- August 1st 2009, Opening August 2nd 6-8pm: Melanie Wolfe and Lenni Morkel-Kingsbury; Axioms/Idioms: a mapping of language/culture; history/memory; emotion/truth… a collection of individual and collaborative artist books and charts which utilise the metaphor of mapping as a means of exploration of the subjective nature of language. May 28th- June 27th 2009, Opening 28th May 6-8pm: Mike Harrison: Stasis: Defined as an artifical pause, the installation explores an emotional point in time observed by a son of his father's post-war trauma; the idea of life moving forward while an emotional conscious is left behind. April 30th- May 23rd 2009, Opening April 30th 6-8pm: Paul Compton;Tender Things . An exhibition that playfully explores the inherent fragility of objects, illusions and human lives. This collection of handmade books, objects and drawings combines droll cynicism with sincere empathy and hints at themes of the outsider, animism and nostalgia.